Your entry visa may be denied or revoked if these rules are not followed. 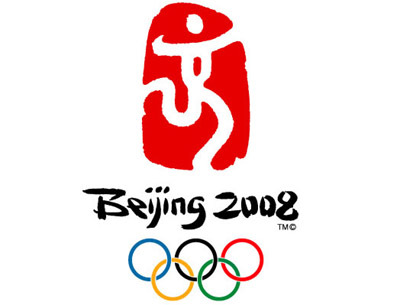 According to Reuters, while this list appears on the official Beijing 2008 website, it is printed only in Chinese, which seems odd for a list presumably intended for foreigners. (I could not find it at all, although I did find the handy new Guide for Foreign Media Coverage, just 273 pages long.) So if you are going to the Olympics, you may want to print this post and keep it with you for easy reference. One thing you can do is suggest an appropriate name and slogan for the official Beijing Olympics and Paralympics Cheerleading Squad, which began training on May 31. According to the organizers, the squad has the necessary attitude: "During the training, the enthusiasm in the air was almost tangible, as the volunteers cheered, danced, and sang under the guidance of their leaders." This carefully guided and led enthusiasm would be "essential" to the success of the Games, said an official. Following the concepts of "civilization, warmth, and expertise," the volunteers decided [under the guidance of their leaders] to open up the forum to the public, asking for suggestions for a fitting name and slogan which would embody the welcoming atmosphere the cheerleading squad hopes to emit. Requirements: The name and slogan should be "catchy," "moving," and have "Chinese characteristics." (The latter was not defined.) Also, presumably, the name and slogan should not be insulting, harm China’s national security or damage its social order, and you should not submit suggestions if you are mentally ill. Otherwise, please help the squad emit a welcoming atmosphere by emailing your suggestions to lld@bjyouth.net by June 25, 2008.